Millennials are the largest generation in the United States, but only 20 percent of them identify with conservative and Republican values. At the same time, urban Americans (80 percent of the population according to the U.S. Census Bureau) are not moving toward conservative and GOP ideals. This combination is a looming threat to conservatism and the Republican Party, as the GOP base, rural voters and Baby Boomers, is a quickly shrinking population. 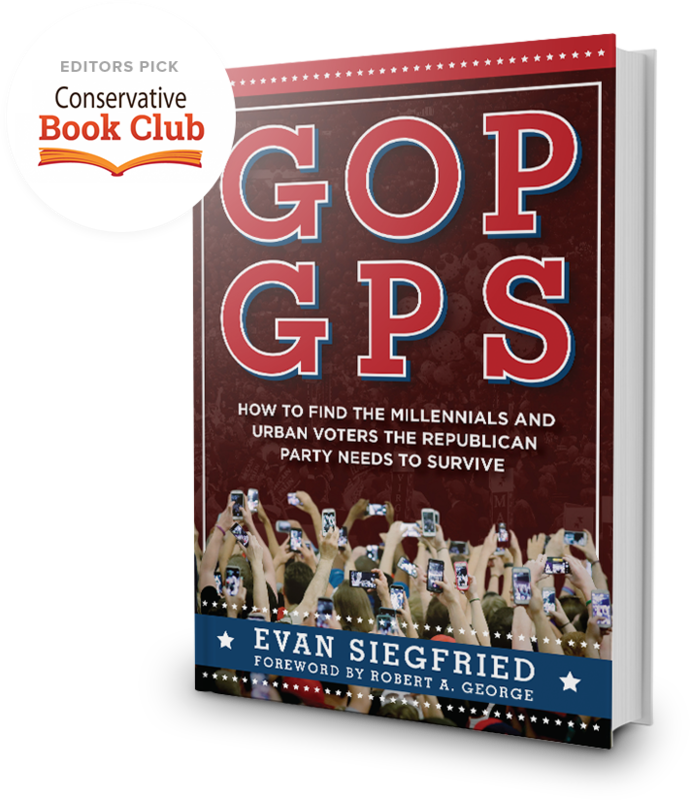 GOP GPS shows how the Republican Party and conservatism not only can bring millennials and urban voters into the ranks, but do so using conservative values. Make no mistake, millennials are vital to the future of both the Democratic and Republican parties. To ignore millennials is downright political malpractice. Conservative ideas and principles offer Americans the best chance to climb the ladder of economic opportunity and pursue the American Dream. In the United States, the interests of millennials are ones that are tailor-made for conversion to the Republican Party.